It is ideal to note that advancements in technology largely characterize the 21st century and the spinning reel industry has not been left behind. 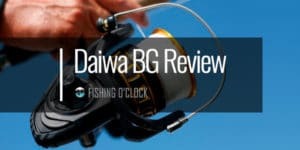 Manufacturers such as Daiwa are putting lots of effort in coming up with products that fit the needs of the daily consumer. 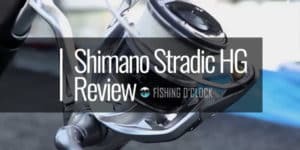 They have been able to come up with the Daiwa Revros spinning reel series which is powerful and delivers a stunning performance. 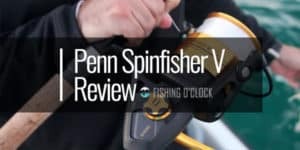 This tool has an ergonomic design which is combined with several unique features, making it one of the top spinning reels for both beginners and professional anglers. 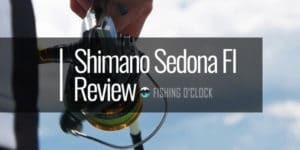 This article will focus on the pros and cons of the Daiwa Revros Spinning Reel. Daiwa made use of the air rotor design which makes the Revros Spinning Reel lightweight as well as giving it high levels of sensitivity. The air rotor is made of a light but strong Zaion carbon composite. This makes it weigh 15% less than the ordinary rotor designs in the market. Besides, the design easily distributes weight evenly which makes the spinning reel easy to handle. The overall shape also contributes to the distribution of the weight throughout the device. 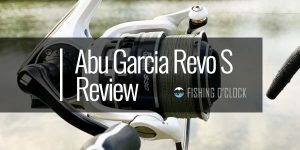 The flexibility of the Revros is seen with regards to the models that Daiwa has churned out. It comes in 4 models which are the REV2000H, REV2500H, REV3000H and the REV4000H. The Daiwa Spinning Reel is fitted with an 8 bearing system. This is divided into 7 BB and 1 RB. These bearings facilitate consistency in casts and retrieves. The manufacturer also ensured that the overall frame us sturdy, and this keeps all the moving parts in perfect shape. The device is, therefore, able to last for a long time. Daiwa also included the Digi gear. This is a digital gear design that ensures that the device has enough power, speed, and durability at the same time. There is also the Revro’s ABS spool which is able to create less casting friction. The user can, therefore, cast for longer and easily. A large spool diameter also exists, and this lets the line flow freely especially in larger coils. The drag system is also a powerful one and contributes to the overall performance of the device. 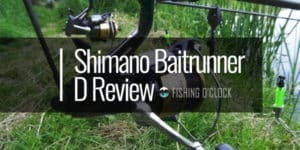 The fact that the Daiwa Revros makes use of an aluminum body means that it will last for a long time. This is because aluminum is a sturdy material and will not break easily. You are therefore sure to enjoy the good performances of this device for long with friends or family. The aluminum is also resistant to rust which ensures that your device keeps its original lustre at all times. 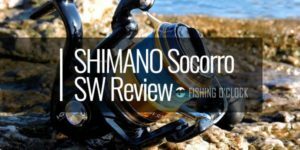 Some products have been associated with poor quality, but with the Revros, Daiwa made sure to give their best shot. It has a premium feel in your hands. Daiwa had the consumer in mind in the making of the Revros Spinning Reel Series. In this, they opted to have several models in the series. However, these models are of the same quality, and the only difference is in the sizes. As such, you are free to get devices even for your kids and have fun-filled experiences. 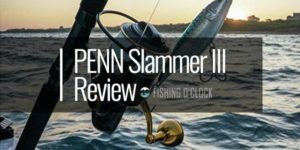 Moreover, there are anglers who want to operate with at different levels. They will, therefore, go for different sizes. Daiwa guarantees quality in each model, and hence you are sure to have a good performance with each of their devices. It is evident that the Daiwa Revros Spinning Reel has numerous features which in turn make it have many benefits to the user. The manufacturer was keen on the design process which resulted into a lightweight tool that at the same time is powerful. The 8 bearing system is also a key feature that makes this tool stand out from its competition. 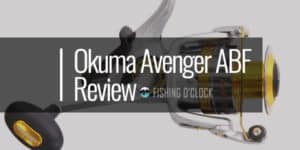 Daiwa made this device for the beginner as well as the professionals. 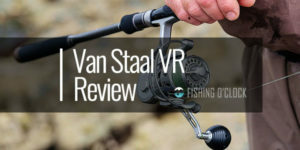 They have a detailed manual which accompanies the tool and only through constant practice e will the beginner understand the functionality of this spinning reel fully. You are therefore advised to take your time as you learn how to use a spinning reel and let it transform your fishing activities. You will experience some noise as you handle this device. 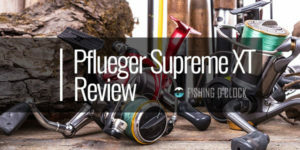 However, since this is expected with all spinning reels, you can simply go for protective gear that includes ear muffs. This is especially if you are operating for long periods. The Daiwa Revros Spinning Reel is an ideal tool that will suit all your fishing needs. 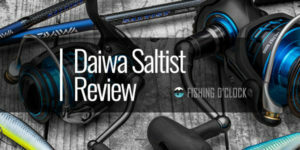 It is appealing to the eye, and the renowned manufacturer Daiwa ensured that they did their best in terms of quality and performance. You are therefore assured of years of success in angling. Make sure to consider it in your next purchase.